1. Here are the cleaned up front and back. 2. All gold. You can click this image to enlarge. 3. Im not 100% sure of the process used to make these coins but I would think to achieve this color scheme we would have to use the "black nickel" or "black metal" . 4. This is mocked up to hopefully better show how it could potentially look. You can click this image to enlarge. 6. Mocked up. You can click this image to enlarge. 7. Reverse scheme of the previous. Two new options for the back of the coin. Left: The sword, scale and blindfold from the Cities Insignia. This could be nice having a since of location and history (city hall/1870) on one side and iconic symbolism that depicts values of the other. 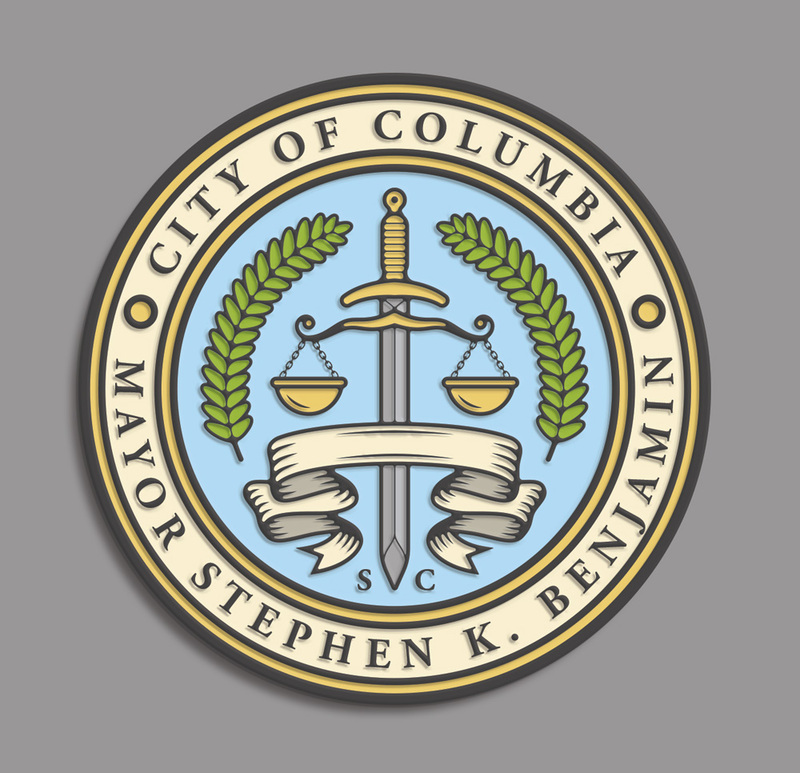 The blindfold could even have an inscription similar to the Latin on the City Logo "Justitia Virtutum Regina". Right: Another well recognizable icon of Columbia are the clocks on Main St. 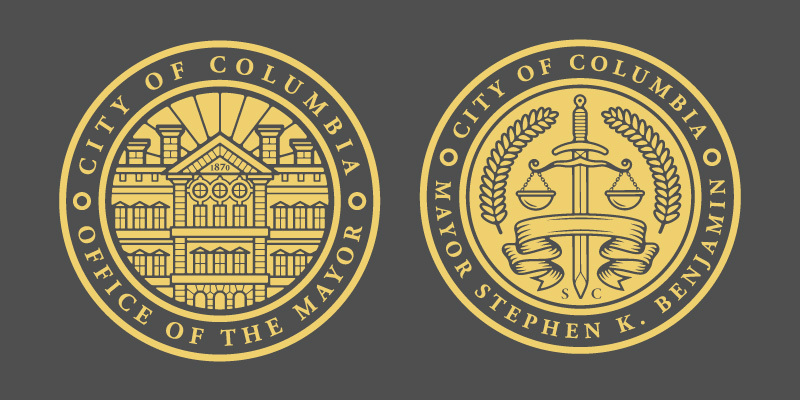 The clocks might not have as much "meaning" as the sword and scales but does have history that helps define the areas history, is in close proximity to city hall (which could compliment the front of the coin) and, design-wise, would translate well and look nice on the coin.